IL NUOVO REGIME DEI MINIMI PER GLI AUTONOMI: ECCO COME FUNZIONA. VISTO DI CONFORMITA’: LE NOVITA’ 2015 SPIEGATE DALL’AGENZIA DELLE ENTRATE. COMPENSAZIONI RITENUTE FISCALI 2015: I CHIARIMENTI DELL’AGENZIA DELLE ENTRATE. IMPOSTE SUI REDDITI: NUOVI CODICI TRIBUTO PER IMPRENDITORIA GIOVANILE E LAVORATORI IN MOBILITA’. IRAP: DOVUTA QUANDO IL FAMILIARE AUMENTI LE CAPACITA’ PERSONALI DEL PROFESSIONISTA. 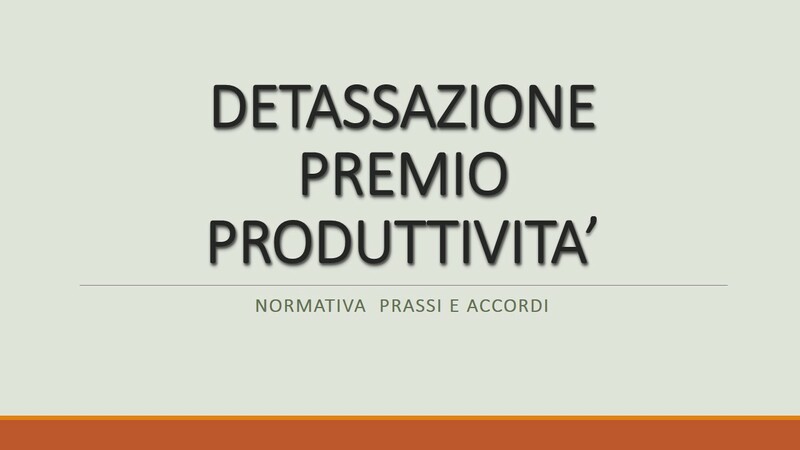 LAVORATORI AUTONOMI: NON APPLICABILE LA PRESUNZIONE DI REDDITIVITA’ DEI PRELIEVI. MODELLO F24: OLTRE I MILLE EURO OBBLIGO DI PRESENTAZIONE IN VIA TELEMATICA. DICHIARAZIONI FISCALI: IN GAZZETTA IL D.P.C.M. 13 GIUGNO 2014 CHE PROROGA I TERMINI PER IL 2014. VERSAMENTI DELLE DICHIARAZIONI FISCALI: PROROGATI AL 7 LUGLIO. AGENZIA ENTRATE: CHIARIMENTI AD ALCUNI QUESITI. FATTURAZIONE ELETTRONICA: OBBLIGATORIA NEI CONFRONTI DELLE PUBBLICHE AMMINISTRAZIONI. LO SMOBILIZZO DEI CREDITI VANTATI NEI CONFRONTI DELLA P.A. LAVORATORI ALL’ESTERO: LE RETRIBUZIONI CONVENZIONALI 2014. INTERESSI LEGALI: DAL 1 GENNAIO 2014 SCENDONO ALL’1%. ACCONTI IRES E IRAP 2013: IN ARRIVO LA PROROGA AI VERSAMENTI. S.T.P. : LE SOCIETA’ TRA PROFESSIONISTI. SPESOMETRO E DATI POS: COMUNICAZIONI AL 31 GENNAIO 2014. AUMENTO ALIQUOTA IVA AL 22%: I CHIARIMENTI DELL’AGENZIA DELLE ENTRATE. SECONDA RATA ACCONTI DELLE IMPOSTE: OBBLIGO DI RICALCOLO. AGENZIA ENTRATE: AGGIORNATI I CODICI CONTRIBUTI E TRIBUTI. CASSETTO FISCALE: ATTIVABILE DA DUE INTERMEDIARI. RISTRUTTURAZIONI EDILIZIE: GUIDA ALLE AGEVOLAZIONI. ABILITAZIONI ENTRATEL: RICHEISTE ANCHE A MEZZO POSTA PEC.